Although the country lost much of its health personnel and infrastructure as a result of the genocide that shattered the country 15 years ago, Rwanda has brought its health care system back to life. The government has initiated bold reforms and innovative approaches to make health care accessible and affordable for everyone, with a strong emphasis on reproductive health, including family planning. This is part one of a four-part series that examines Rwanda’s rapid development progress. MUHURA, Rwanda — When school lets out in the little village of Muhura, waves of children in bright blue or tan uniforms stream out along the dirt roadside in waves, running toward the soccer field, playing tag or stopping to stare at the rare sight of a vehicle passing by. It’s hard to imagine where they will all manage to live when they grow older. Traditionally, Rwandan parents would divide up their land into parcels for their children. But the land is already intensively settled, the hillsides densely cultivated with bananas and coffee and vegetables. 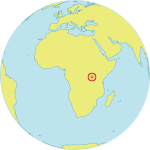 In fact, at about 368 people per square kilometre (2007 data), Rwanda is the most densely populated country in Africa, except for the small island nation of Mauritius. And its terrain -- the country is known as the land of a thousand hills -- means that not all of the land is arable. With two thirds of its population under the age of 25, Rwanda will continue to grow rapidly for years to come, even with the dramatic expansion of family planning that is taking place and the growing desire for smaller families. matter. The nearest health clinic, like about 60 per cent of the health services in Rwanda, is run by the Catholic Church, and the only contraceptive devices offered there are cycle beads, a refinement of the rhythm method. Only the few women who could afford transportation had an alternative. And transportation is problematic: Busses rumble through town only a couple of times a week, and no one owns private cars. The traditional form of ambulance is for four men to carry someone in a hammock dozens of kilometres or more over hilly rutted roads to the nearest hospital. But as of June of this year, women can be referred to the new secondary health post, where family planning counselling and contraceptives are available free of charge. The Health Ministry converted a spacious and solid brick building that had been empty into a secondary health post that offers family planning information and services three days a week. Once the health post opened in Muhura, women began coming, first in a trickle, then in droves. “Now we see about 50 women a day,” said the nurse who runs the programme. Dozens of women showed up for a meeting in early September with representatives from UNFPA, the United Nations Population Fund, which provides contraceptives and other support to the project. They were vibrantly dressed in multicolor African prints. Many had children in tow, or bundled in makeshift cloth carriers slung across their backs or shoulders. “How many of you have one child?” They were asked. “How many have two?” Several more hands came up. “How many have more than five?” Dozens of women raised their hands. “How many are done having children?” Almost all of the hands went up. 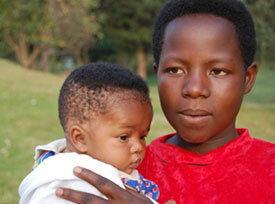 According to DHS data, only 7 per cent of married women in Rwanda want to have another child soon. A few other women explained that they wanted more children, but not right away. Then the women were asked why they wanted to limit the size of their families. A 38-year-old women with six children said it was too hard having so many children – she had two babies just last year. Now she wants to stop childbearing. A 42-year-old woman with five children noted that “Family planning gives better health to mothers.” Her husband backed her up. He had done some calculations, looking at the cost of educating their children’s school fees, and the size of their small farm, and realized they could not afford to raise more children. Did any of the women meet with resistance from their husbands, or feel constrained by the teachings of the church, they were asked? At the same time, the government is opening secondary health posts like the one in Muhura. It is part of a comprehensive government plan to complement the health clinics provided by the Catholic Church with secondary health posts nearby, which offer a rangle of family planning methods and services. Some 65 secondary posts have already been established, and 21 more centres are planned for the coming year. Statistics show that these secondary health posts are attracting clients and interest in modern contraceptive methods, says Daphrose Nyirasafali, a reproductive health and rights officer with UNFPA Rwanda. “The government and its partners are optimistic this strategy will boost the adoption of modern family planning methods, resulting in a more manageable fertility rate and sustainable development,” she added.